At our conference day yesterday we heard the heartbreaking story of Morgan Leary, the daughter of PJSTA Rep Council member Emily Leary. Morgan Leary, 6 was suddenly and unexpectedly diagnosed with a brain tumor on August 16, 2014. She has undergone several surgeries to remove as much of the tumor as possible and to control her brain pressure. The tumor itself is aggressive and Morgan will likely require chemotherapy and radiation to combat the rest of the tumor. 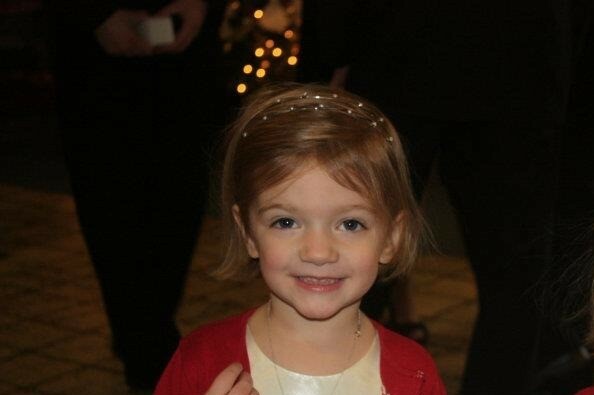 Morgan is an amazingly sweet, kind and gentle little girl, as is her twin sister, Emma. It’s no wonder these two little girls are so amazing with parents like Emily and Brian. Morgan’s parents, are such genuine, kind, caring and selfless people. They are devastated by Morgan’s diagnosis, but are focused on getting Morgan better and taking care of Emma. Anything we can all do to support and help them financially at this horrific time will be something less for them to think about. It will enable them to keep their strength and minds focused where they need to be – on both of their beautiful little girls. Please donate and help the Leary family fight this fight! Please visit the GoFundMe page set up for Morgan and give what you can. This entry was posted in General and tagged PJSTA. Bookmark the permalink.